The aftereffects of Hurricane Maria are still resonating with two US territories in the Caribbean, Puerto Rico and the US Virgin Islands. 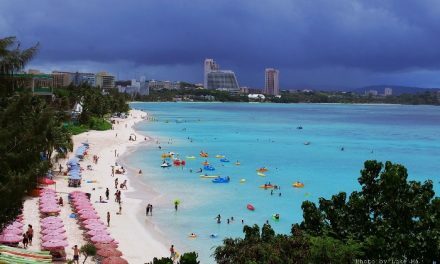 Despite both territories having economies based largely around tourism, there are important distinctions between the two that will prove pivotal in their future economic outlooks post Hurricane Maria. According to an independent report from Abt Associates from 2016, in the USVI, most economic activity in the territory can be linked either directly or indirectly to the ocean and tourism is the primary driver of local economic activity, accounting for 60% to 80% of the islands’ GDP. 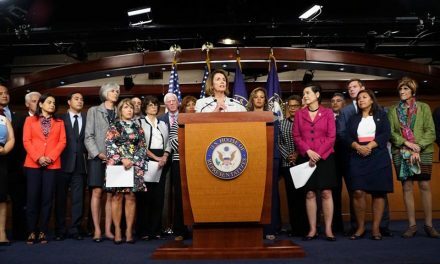 Their research in Puerto Rico generated similar findings, although the portion of Puerto Rico’s economy that is ocean dependent is much lower than in the USVI because Puerto Rico’s economy is far more diverse. 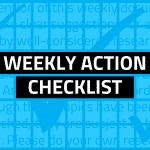 The USVI has quickly found itself in a comparably negative fiduciary position to Puerto Rico. While the USVI’s overall tax-supported debt at $2 billion is much lower than Puerto Rico’s $53 billion in tax-supported debt, per capita debt is about a third higher: $19,000 in the USVI compared with $12,000 for Puerto Rico. 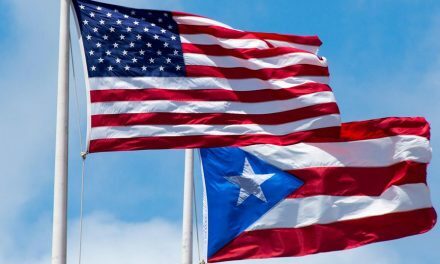 Despite having a debt situation that is worse in terms of its absolute size, the long term versatility of Puerto Rico’s economy vis-a-vis the US Virgin Islands may give Puerto Rico an advantage in coming out of the fiscal bind in better condition. The Virgin Islands contrasts with Puerto Rico in key ways. 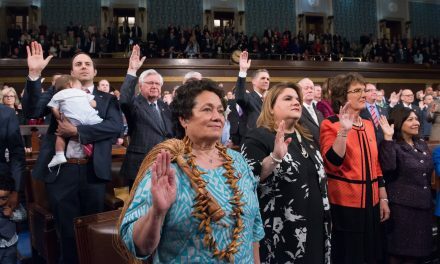 First, based on the 2010 Census, a relatively high share of the adult population (sixteen and older) is in the labor force: 66 percent, versus 65 percent on the mainland USA and well below 50 percent in Puerto Rico. Also, fewer than half of all homes are owner occupied, compared with 65 percent on the mainland and well over 70 percent in Puerto Rico. Additionally, the Virgin Islands has its own way of servicing its debt. 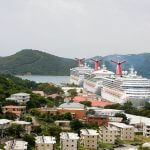 Servicing a large portion of the USVI’s debt is the Matching Fund Revenue bonds, or rum cover over funds, which are taxes collected annually by the US Department of Interior on behalf of the local government from Captain Morgan Distillery (Diageo) and Cruzan Rum Distillery rum sales. In 2017, the total sum was $224 million, up from almost $203 million the year prior. The majority of the funds, however, never arrive in the reserves of the US Virgin Islands government. 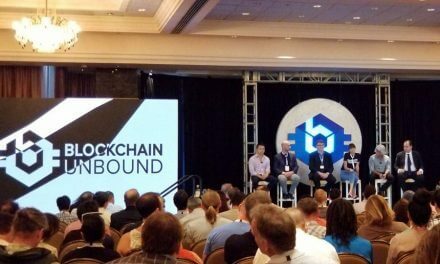 Instead, the funds are transferred directly to bondholders, leaving the territory with a fraction of the total sum, about $48 million this year. 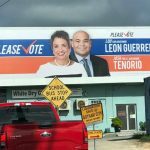 Of the remaining $48 million, $18 million went to the government’s general fund, and the remainder to Cruzan Rum and Diageo for promotional fees and molasses subsidies, as per an agreement signed in 2017. 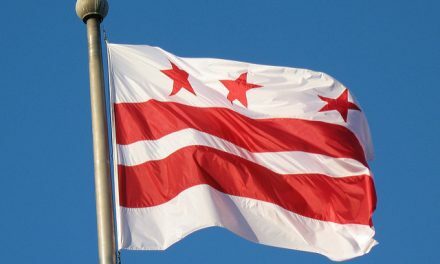 The local government was left with only $30 million from the $224 million raised in 2017. The territory’s other source of income that it uses to pay debt is GRT bonds. GRT collection will depend on the condition of the economy. If the economy is expanding, the collection will be higher, however, if the economy is struggling, that will be reflected in lower GRT collections. 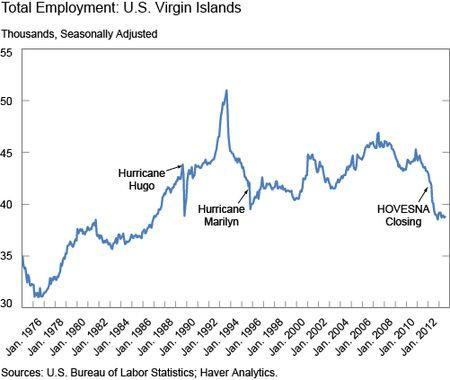 A historical analysis of the employment history of the US Virgin Islands has shown a decline in the last decade as well as periods of decline after Hurricanes. The largest employer in the islands, the Hovesna refinery a petroleum refinery located on the island of St. Croix, closed in 2012 and recent efforts for its revival have died out. Governor Kenneth Mapp has said that for the next two years, the local economy will be fueled in by growth in the construction industry, noting the high number of job opportunities currently available through the Department of Labor associated with the aftermath of Hurricanes Irma and Maria. The surge in employment will bolster GRT collection, the governor has said. For Puerto Rico, even before Hurricane Maria, the economy was in a prolonged period of economic downturn. Since 2006, the Puerto Rican economy has contracted by 10%and the territory lost 10% of its population to the mainland. 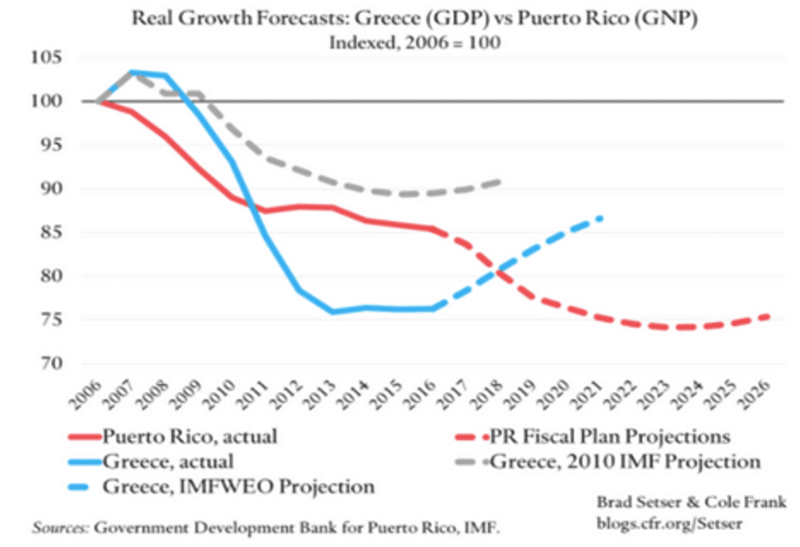 According to the Puerto Rico Fiscal Agency, the same time, in the context of its budget adjustment program, over the next decade, the Puerto Rican economy was officially projected to decline by another 10%. This would make the islands’ depression worse than that of Greece. Governor Ricardo Rosselló eliminated a commission to audit Puerto Rico’s debt earlier this year. That commission pointed to failures by attorneys, underwriters, fiscal advisors, accountants, credit agencies, government bureaucracies and energy consultants to issue proper warnings to bondholders. Shortly after that report was issued, the Securities and Exchange Commission let on that it was investigating bond issuance by the Puerto Rico Electric Power Authority. 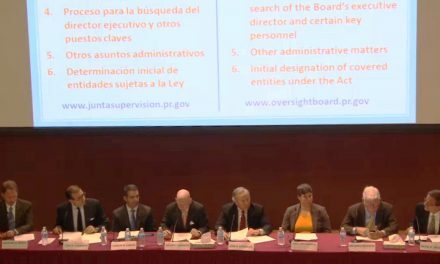 The Financial Oversight and Management Board for Puerto RIco that has since stepped in has issued a contract for an investigation of the Puerto Rico debt issuance. 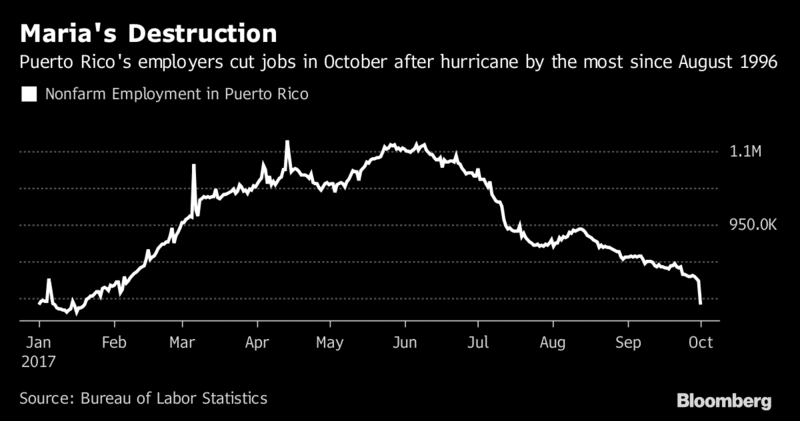 With respect to employment, the drop in total payrolls after Hurricane Maria reached 3.6 percent of payrolls, or 31,600 people — the biggest drop since 1996 — reducing nonfarm employment to 842,000, the lowest level since 1991. 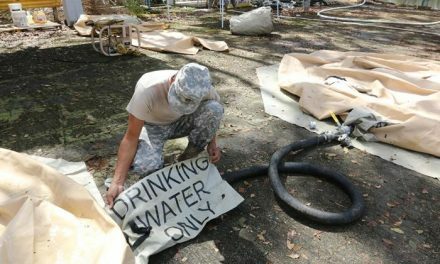 While considerable effort and expenditure has been put towards rebuilding in Puerto Rico and the US Virgin Islands, the future remains uncertain. 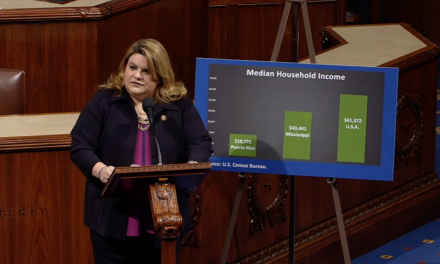 With the Republican tax bill now in reconciliation efforts, time will tell if the proposed excise taxes on liquor and the measures affecting Puerto Rico will hamper the territories’ recovery efforts. 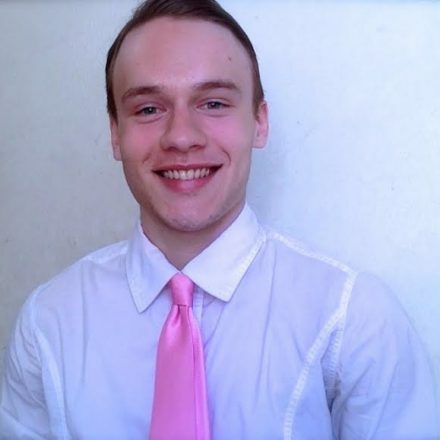 Peter Lawlor is a rising junior at the William E. Macaulay Honors College, with Lehman College in the Bronx as my home campus. He is double majoring in Political Science and Economics. 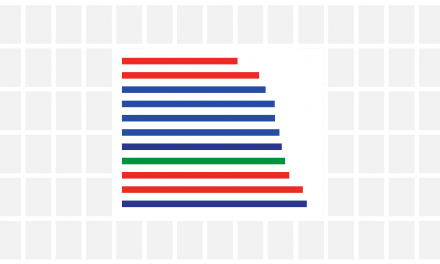 At Macaulay, Peter is part of the Roger Hertog Scholars program, an exclusive academic program focused on reading and analyzing the great books of Western literature. He previously interned with a human rights NGO, the East Timor and Indonesia Action Network where he wrote reports on lesser reported human rights incidents in Indonesia, and Penguin Random House Films, where he wrote reports on the feasibility of unpublished books as potential tv or movie productions. Peter enjoys following politics, and intends to pursue a graduate degree in political science after graduation. Peter is an Assistant Editor for Economic Affairs at Pasquines.